Today’s episode is “Everything you need to know about Insurance For Your Airbnb” with special guest, Tony Melilla, from CBIZ Insurance. Learn if your standard homeowner’s policy covers your vacation rental, protecting your property/content from guests mishaps, insuring short term rentals and insurance clauses to look out for that might leave you vulnerable. 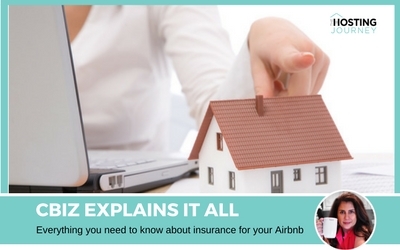 Finally, ALL your Airbnb insurance questions answered!